Born in Chateau-Gonthier (Mayenne) in North-Western France, Moisson was a mechanic in Paris from 1888. Setting himself up in Lyons in 1894, he soon became integrated into the life of the Lumière factory. Late in life Charles Moisson recalled how Antoine Lumière had arrived at his office in 1894, where Moisson was with Louis Lumière, bearing a piece of Edison Kinetoscope film, the start of the Lumières' interest in motion pictures (other sources suggest that this discussion involved the Lumières and Clément-Maurice). 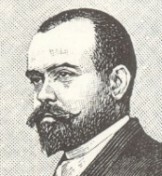 Moisson was the Lumières' chief mechanic and worked with the brothers on the design of the prototype of the Cinématographe camera, and constructed the first working example. For the trials, the machine used bands of perforated photographic paper. 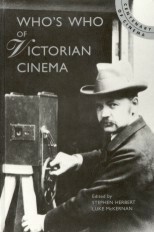 He was operator of the Cinématographe at several of the early Lumière projections in 1895, including the demonstration to the Belgian Photographic Association on 10 November 1895, and the first show to a paying public at the Grand Café on 28 December 1895. The famous engraving of a Lumière Cinématogaphe projectionist is said to represent Moisson. He introduced the Lumière Cinématographe in Cologne, Germany, from 19 to 28 April 1896, where his 'animated photographs' received very complimentary comments in major local newspapers. Continuing to travel for the Lumières on 14 May 1896 Moisson was in Russia with Francis Doublier to photograph the coronation of Tsar Nikolas II and later in the year he travelled to Italy. In April 1897 at La Roche-sur-Yon in Western France he was the first to film a President of the French Republic on an official tour, Félix Faure. Moisson's first model Cinématographe survives at the Conservatoire National des Arts et Métiers, Paris. Alberto Elena, 'La expansión de la industria y la lucha por los mercados internacionales', en Jenaro Talens y Santos Zunzunegui (coords. ), Historia general del cine, vol. I, Orígenes del cine (Cátedra, Madrid, 1998), p. 206.